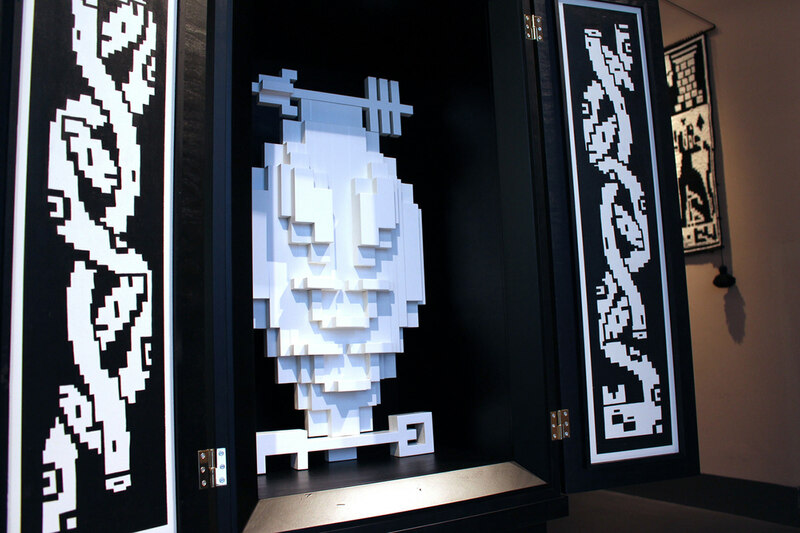 during Pictoplasma, the interdisciplinary festival of character design and art in Berlin. 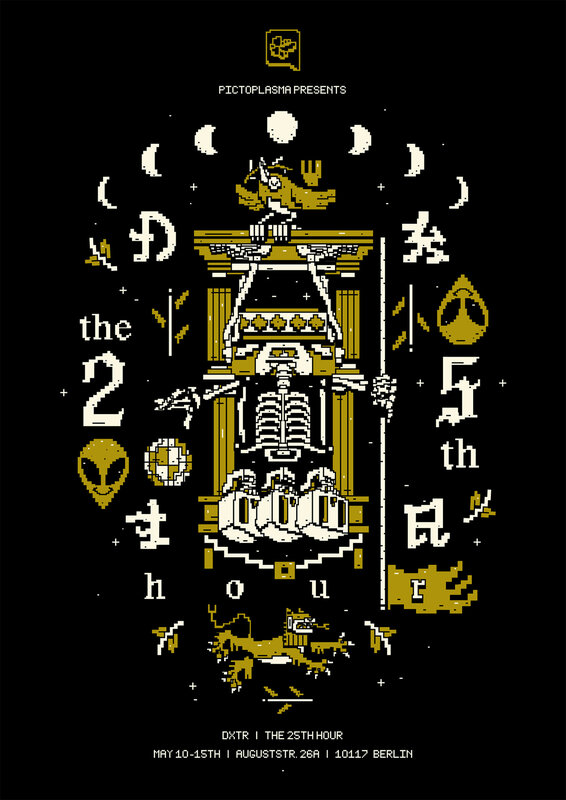 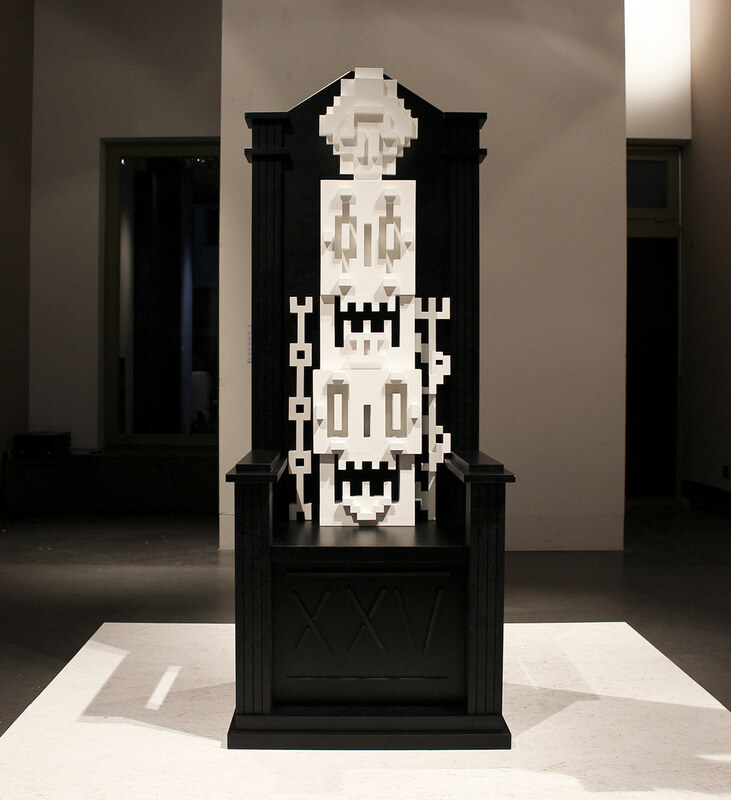 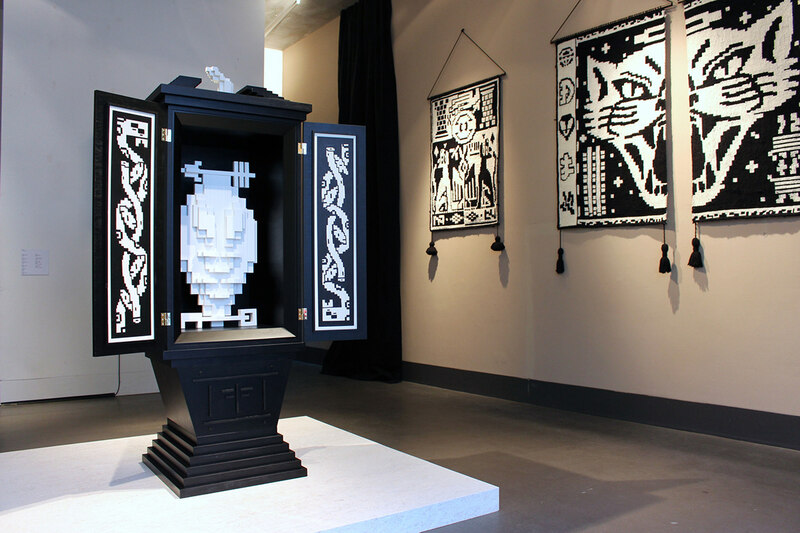 "Pictoplasma presents : The 25th hour, an exhibition by DXTR during this years character walk in Berlin. 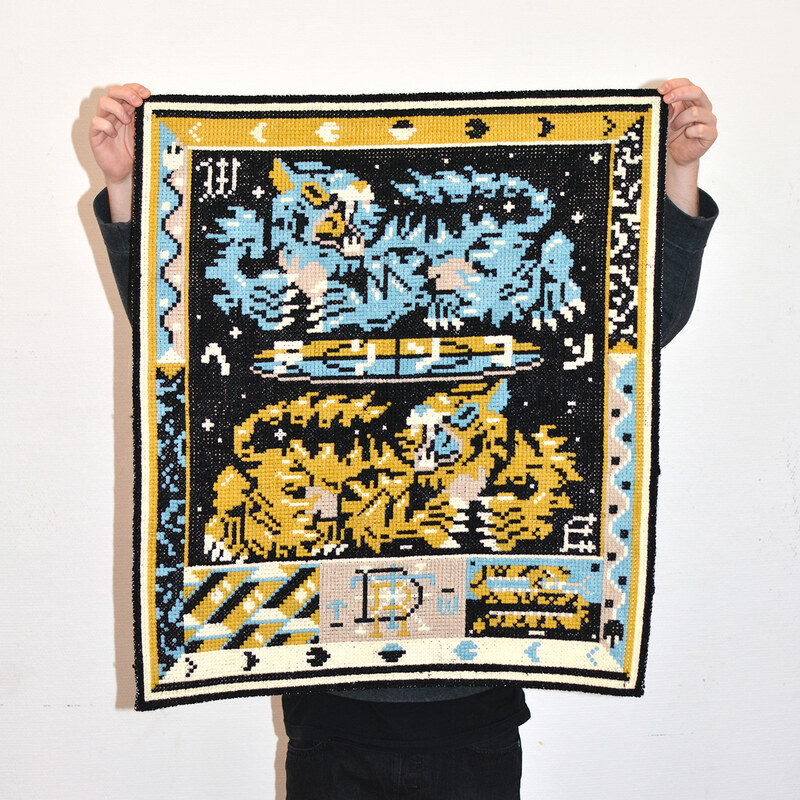 This body of new work by DXTR, including collaborative objects with design studio WDIS, celebrates the beauty of the night. 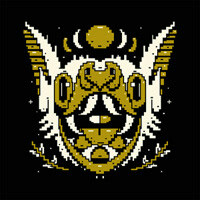 When ideas float, perspectives change and everything is imaginable - midnight in a perfect world." 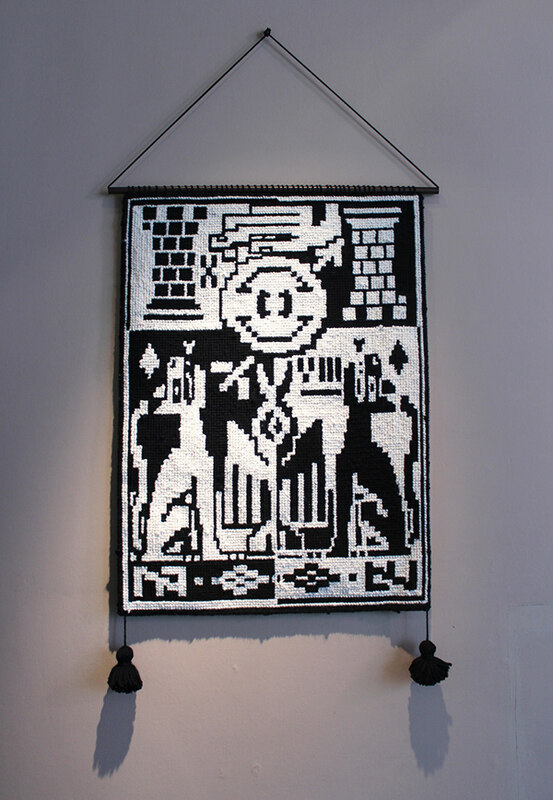 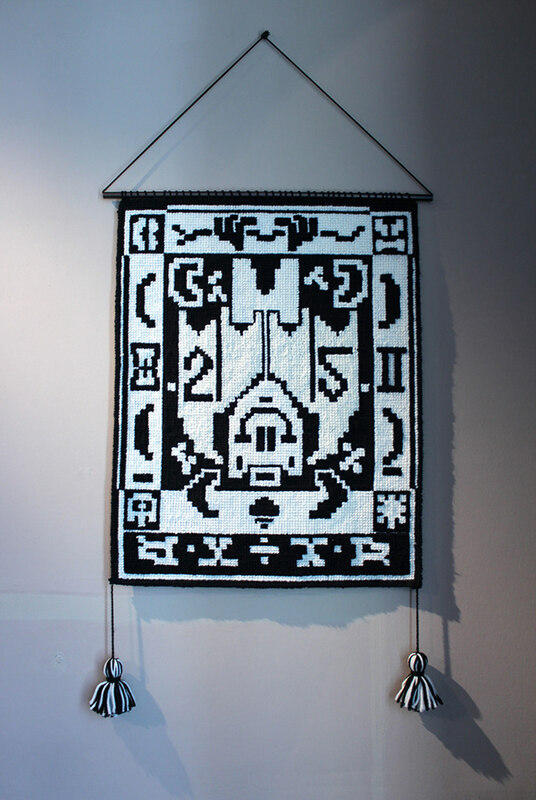 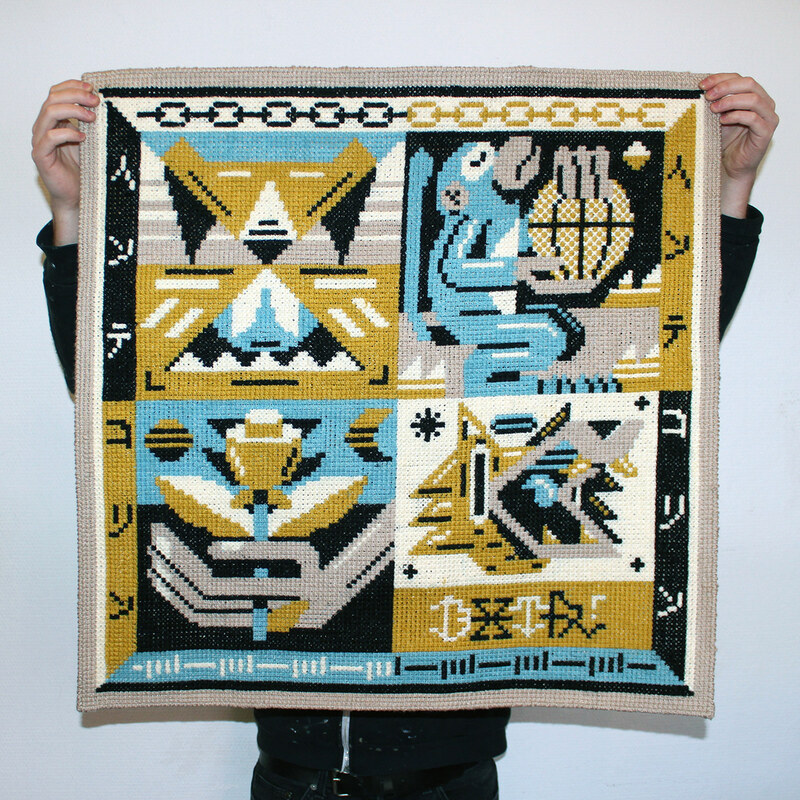 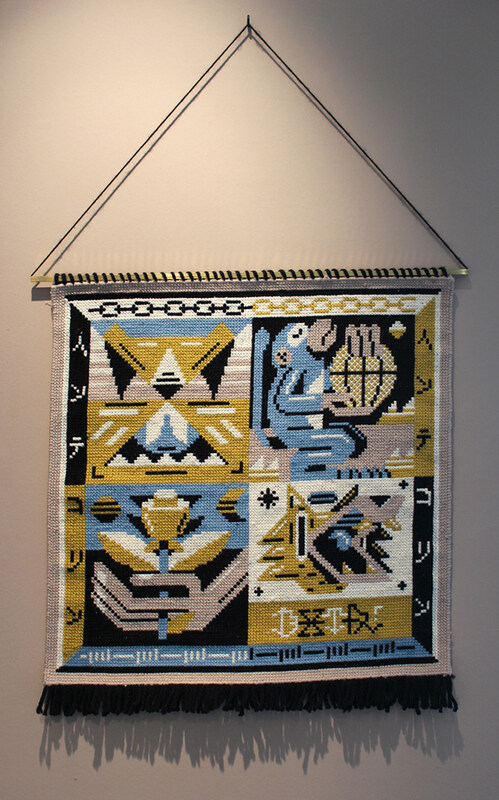 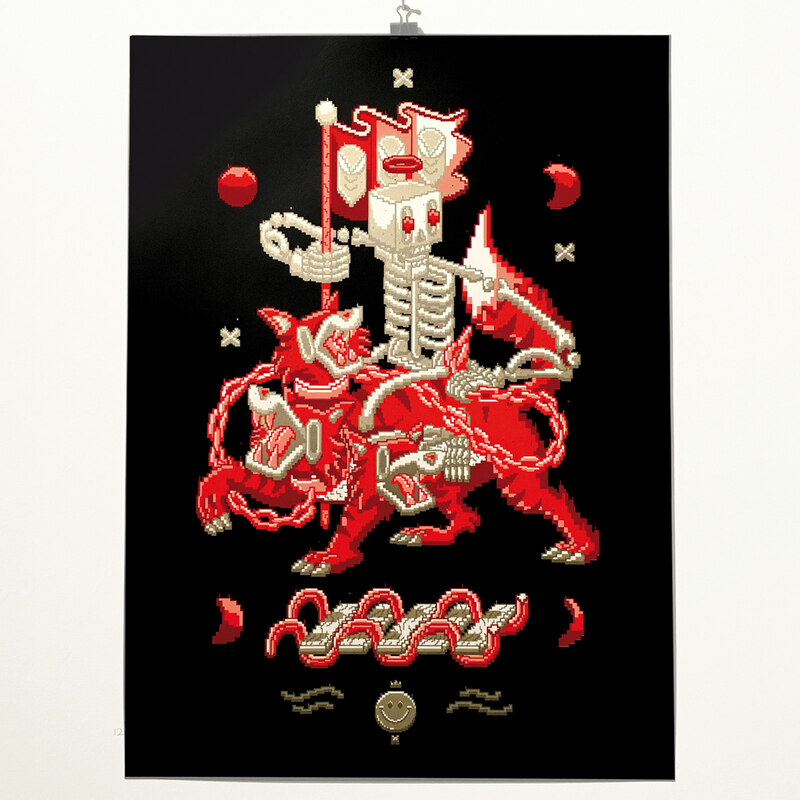 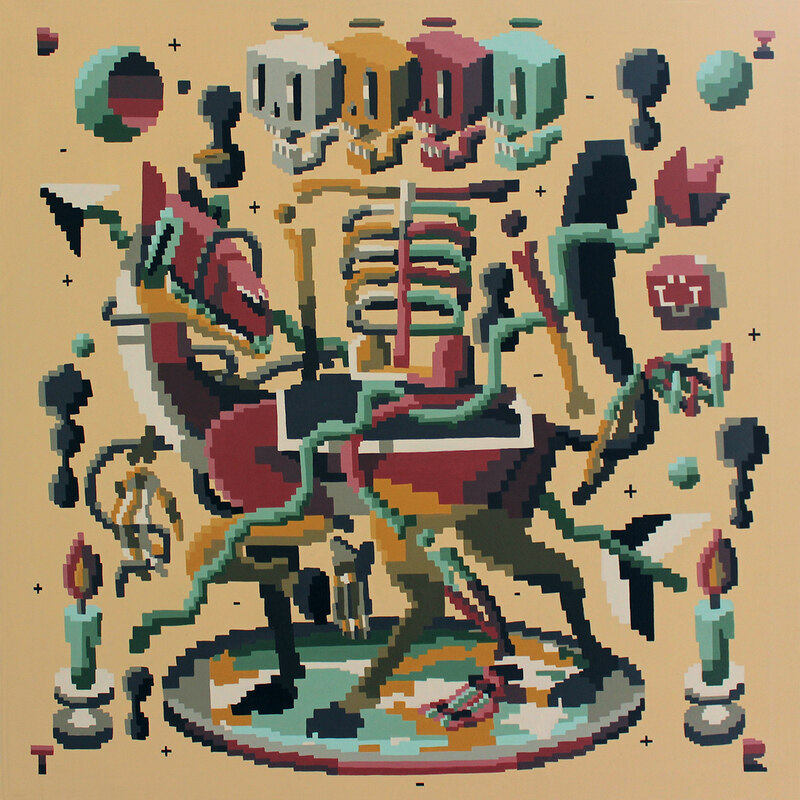 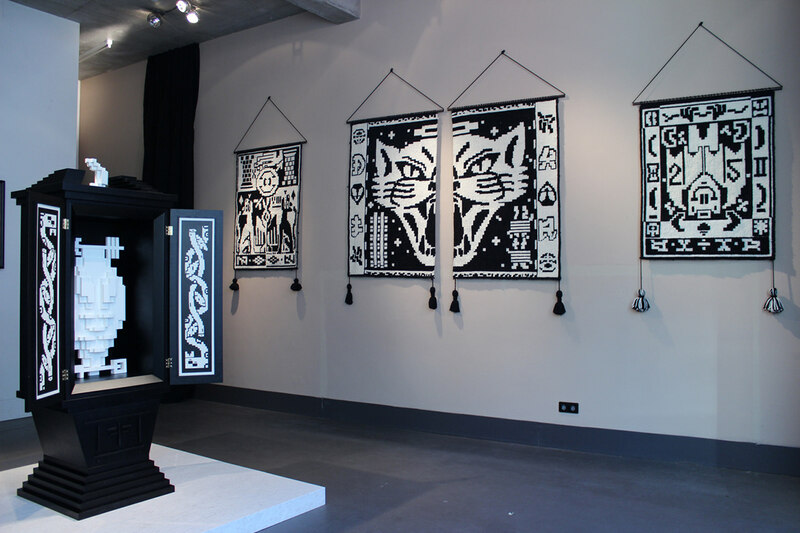 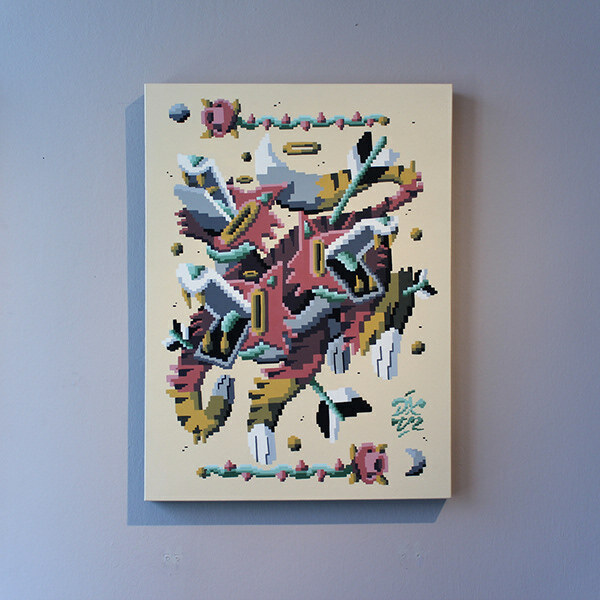 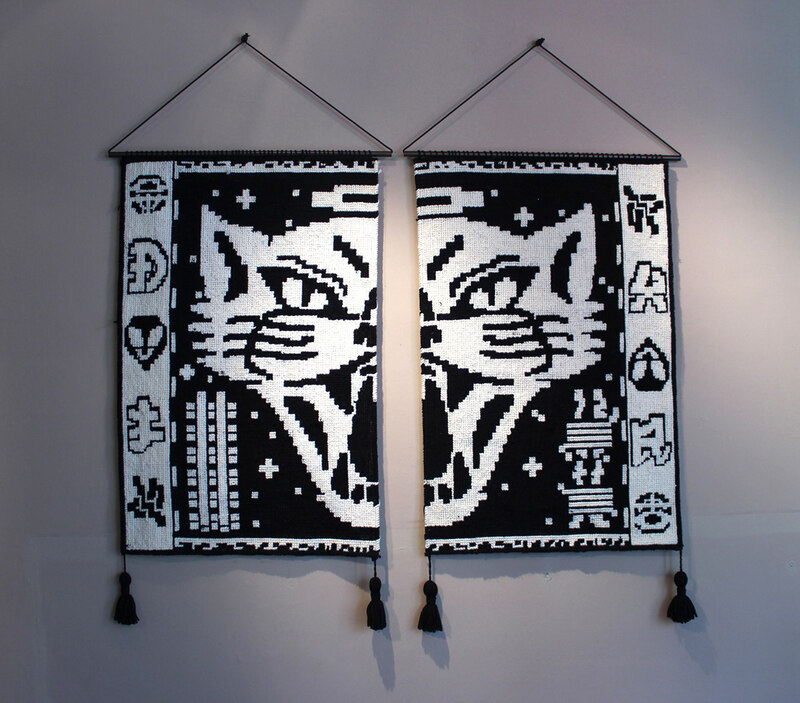 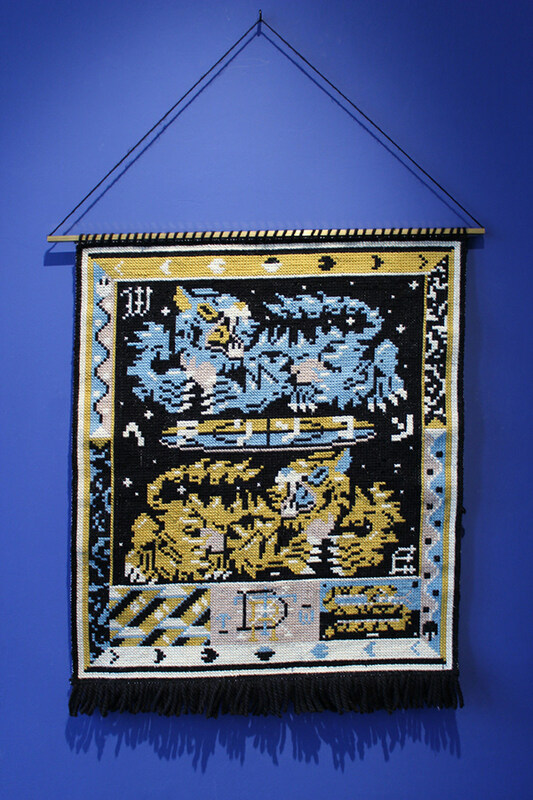 Paintings, sculptures and selfmade tapestries for an exhibition during Pictoplasma festival.